A. Shah’s Young IAS, a unit of A. A. Shah’s IAS Institute, cultivates the required quality in the young students who aspire their career in Civil Services or Defence Services. Generally students start preparation for Civil Services Examination after graduation. Few start when they are in degree colleges. General Studies (GS) and Civil Service Aptitude Test (CSAT) are the compulsory subjects of Civil Services preliminary Examination. General Studies include History, Geography, Economics, Science, Social Science, Polity, Ecology & Environment etc. These are the subjects, which the students learn in their school & college, without making any attempt to learn the basic concept of the subject and to understand the same. Further, current affairs form an integral part of preparation for Civil Services Examination. However interest and knowledge of students about the issues related to social, economical, political, environmental are minimul. It is also noticed that students as well as their parents, who aspire to become IAS / IPS / IRS, are directionless and as such due to lack of information and guidance can’t fulfil their wish to serve the nation. Hence, A. A. Shah’s Young IAS is here to fill the vacuum in this arena by training the students from school level to have real value of the education, which will be beneficial to them in accomplishing bright career. ‘A A Shah’s Young IAS’ has formulated well-planned, well-structured “Pre-IAS Foundation Course” for Junior College students [Std. 10th (SSC)/ 11th FYJC) appeared] and for Senior College students [Std. 12th (HSC) appeared & above], wherein proper care is taken to ensure that preparation for UPSC adds value to their study and not burden them. Here they learn the right approach towards study of a subject which helps them improve their academics as well. The motto of “Pre-IAS Foundation Course” is to make it possible for the candidates to qualify Civil Services Examination in their first attempt at the young age. IAS / IPS is a dream career of many students but they think that this career is to be choosen after graduation. It is true that eligibility crieteria for Civil Services Examination is graduation, but preparation for that exam is ideally to be started early alongwith school / college. Here, all important and relevant information, in question-answer form, is provided in simple and systematic manner, for the benefits of 10th 11th and 12th appeared students and their parents. It is very tough exam. I am an average student, it is not my cup of tea. I am from science background, how can I do it? There is no one to guide me. I am a girl, is it safe for me to join Civil Services? These excuses are myths due to lack of knowledge and information. Before going to the exam pattern, syllabus etc. let us discuss and clear the myths. Is UPSC – CSE very tough? Is it possible for an average student to qualify UPSC – CSE? Your ‘I Can’ attitude is more important than your IQ. Albert Einstein was considered as an average student, but don’t we all know that he was a genius? For you to qualify this examination all that you need is: Interest, Sincerity, Strategy, Dedication and Proper Guidance. Civil Services Examination is easy to qualify provided a candidate properly understands what UPSC is intending to assess through the examinations. 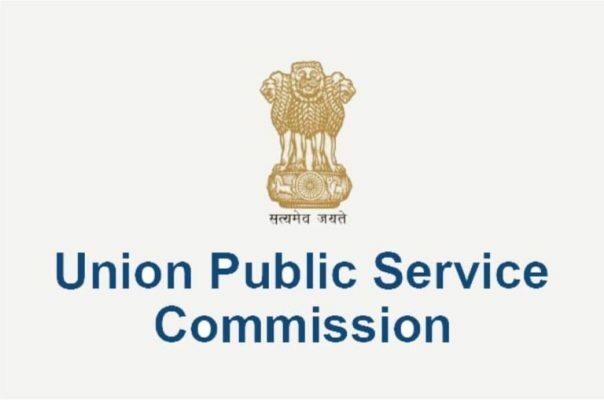 It is pertinent to note that UPSC will test a candidate’s general awareness of a variety of subjects, which will have relevance for a career in Civil Services. The questions asked in the examination are likely to test the candidate’s basic underatanding of all relevant issues and ability t analyse and take a view on conflicting socio-economic goals, objectives and demands. Civil Services Examination is intended to assess thje overall intellectual traits and depth of undertstanding of candidates rather than merely the range of their information and memory. So the candidates, even scholars and toppers of school and college are required to abandon the habit of memorizing or aquairing bookish knowledge. If one understand these facts and follow the guidance of experts in this field, the study of Civil Services Examination becomes not only easy but enjoyable. Can a student from science background study and qualify this exam? A student graduated from UGC (University Grant Commission) recognized university, irrespective of stream is eligible for Civil Services Examination (CSE) conducted by UPSC. Anyway, your stream of graduation does not matter, as for CSE students are required to start preparation from NCERT books (i.e. text books of CBSE Delhi Board) of Std. VI onwards. Hence it is clear that a graduate preparing for highest exam of the country study school lelvel text books from Std. VI onwards. Hence it is clear that stream of college education makes no difference while preparing for the exam as you start from basic. Is there proper guidance available? In order to get through this toughest exam of India, one needs a proper strategy and proper and genuine guidance. We, at A A Shah’s Young IAS, with our vast experience, provide that genuine guidance and training to sincere and dedicated candidates. Our faculties are experts to inculcate the required knowledge and understanding of subjects co-relating with the updated current issues. A student having zero knowledge and interet in politics can study for UPSC CSE? Yes with proper guidance, time management, dedication one can start preparation for this examination and even qualify it. Now let us see why and how one should start preparation for UPSC Civil Services Exams as early as after 10th (SSC) board exams. “Government strives to have a workforce which reflects gender balance and women candidates are encouraged to apply”. This declaration is prominently displayed by UPSC in each year’s notification, thereby empthesising and assuring safe and secured work condition for women. Isn’t it early to start preparation for UPSC – Civil Services Examination after 10th (SSC)? It is the perfect time to prepare for UPSC Civil Service Examination. You have 5 years to be utilized qualitatively for your preparation, as you appear for the exam only after your graduation. Hence after 10th you can start preparation for this examination very systematically and smartly by managing your time accordingly, given that you are dedicated towards your preparation. So for such dedicated students A. 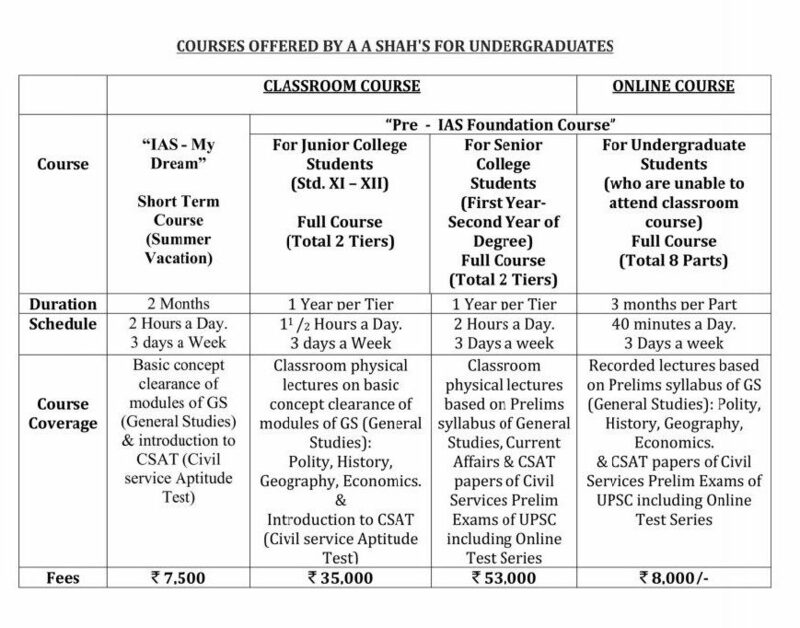 A. Shah’s Young IAS conducts Pre-IAS Foundation Course. If I qualify Civil Services Exam, what post I may get? Indian Railway Accounts Service, Group A. 2 Indian Foreign Service. 14 Indian Railway Personnel Service, Group A. 4 Indian P & T Accounts & Finance Service, Group A. 16 Indian Defence Estates Service, Group A. 5 Indian Audit and Accounts Service, Group A. 17 Indian Information Service (Junior Grade), Group A. 7 Indian Defence Accounts Service, Group A. 19 Indian Corporate Law Service, Group "A"
What are the eligibility creiteria? Schedule 1.5 Hours a Day.